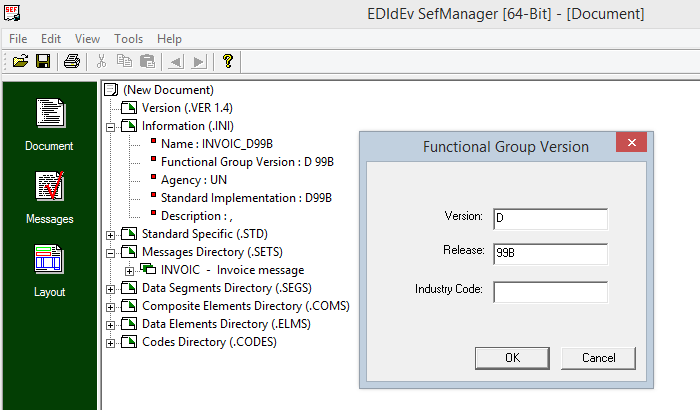 Create all the data segments in the Data Segments (.SEGS) Directory that are required in the Message. 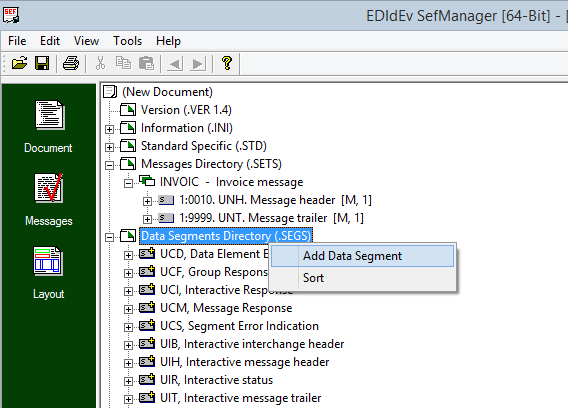 To create a data segment, right click on the Data Segment Directory (.SEGS) node, then select “Add Data Segment”. 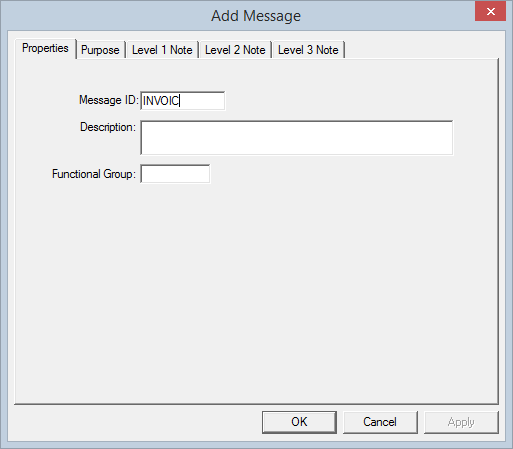 After having created all the segments required for the Message, the next step is to lay them out in the Messages Directory (.SETS) exactly as how the guideline you are following has it. 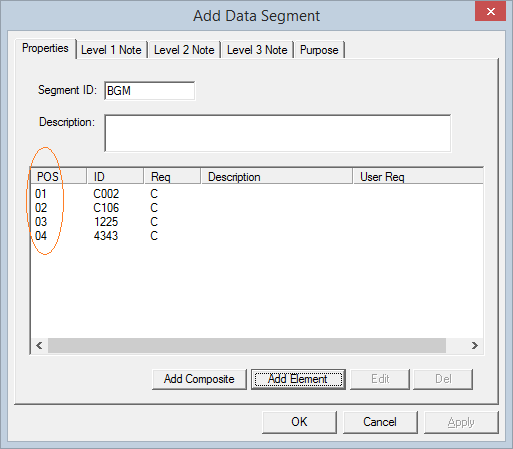 Pay special attention to the Area and Loop ID of the data segment for these are properties that can be used to uniquely identify a particular data segment. 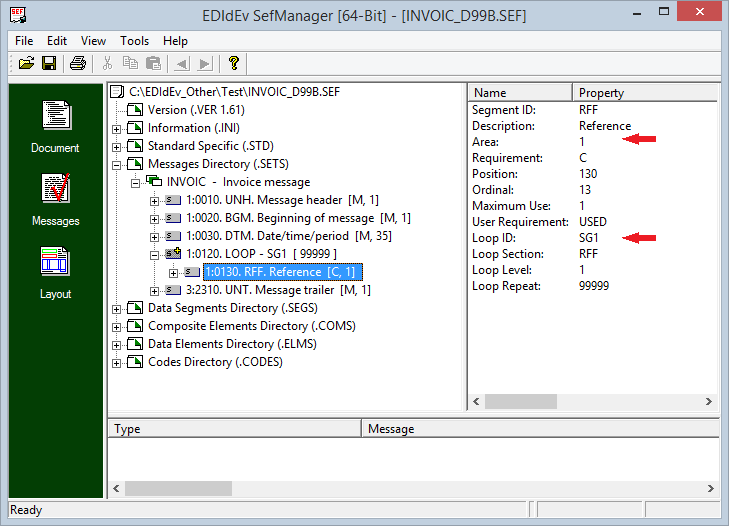 Regularly save your work by clicking on the Save icon (or File, Save).